Oscar outlook: As we move into the second half of the year, Hollywood is starting to think about the annual Oscar race and who will be the most likely best picture contenders. It's a challenging game because virtually no films that could compete for best picture have even opened to date. 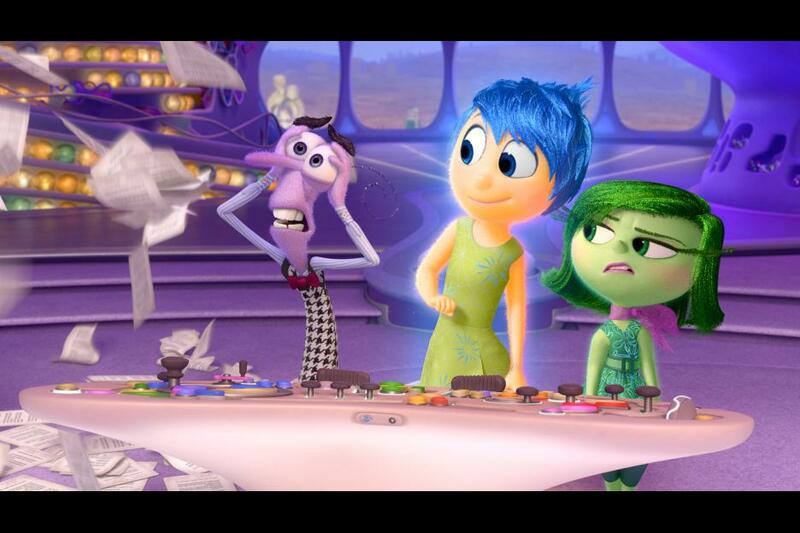 Disney and Pixar's PG rated 3D animated comedy "Inside Out,"which opened June 19, is the lone exception thus far. Not only was "IO" critically acclaimed, it also scored strongly with moviegoers. After five weeks in theatres, it's grossed an outstanding $306.4 million. That's the kind of combination of art and boxoffice success that tends to resonate with Academy members. While "IO"is a no-brainer to be nominated in Oscar's best animated feature category, it's also sparking an early buzz from Oscar bloggers as a serious potential contender for best picture. No animated feature has ever won in Oscar's best picture category, but three such films – all from Disney -- have managed to get nominated. Disney's "Beauty and the Beast" received a best picture nom in 1992, but didn't win. It did, however, take home Oscars for best original song and original score. If there had been a best animated feature Oscar category at the time, "Beauty" would almost certainly have won. But the Academy didn't began awarding its best animated feature Oscar until the 2002 ceremonies when DreamWorks Animation's "Shrek" became the first winner. Disney and Pixar's "Up" was a best picture and best animated feature nominee in 2010. It won in the animated category and also won for original score. The third animated best picture nominee to date was Disney and Pixar's "Toy Story 3" in 2011, which was also nominated for best animated feature. It wound up winning in the animated race and also for original song. There were high hopes for a best picture nom for Disney's "Frozen" last year, but it didn't happen. "Frozen" did, however, take home Oscars for best animated feature and best original song. Insiders are speculating that "IO" may have what it takes to connect with Academy voters this time around in a big enough way to make it into the best picture derby. There can be up to 10 best picture nominees, so if enough Academy members see "IO" as being more than just an animated feature contender, it could secure one of those coveted slots. At this point, all the other likely best picture contenders that Academy watchers are starting to buzz about have yet to open in domestic theatres. Sight unseen, there already are a number of possibilities and, mostly, it's the Oscar pedigree of their filmmakers that's getting them into the early conversation. Here's a quick look (in no particular order) at a few films that could have a good shot at best picture nods. Although The Weinstein Company's R rated romantic drama "Carol" doesn't open domestically until Dec. 18, it did screen in May at the Cannes Film Festival where it was a Palme d'Or nominee. 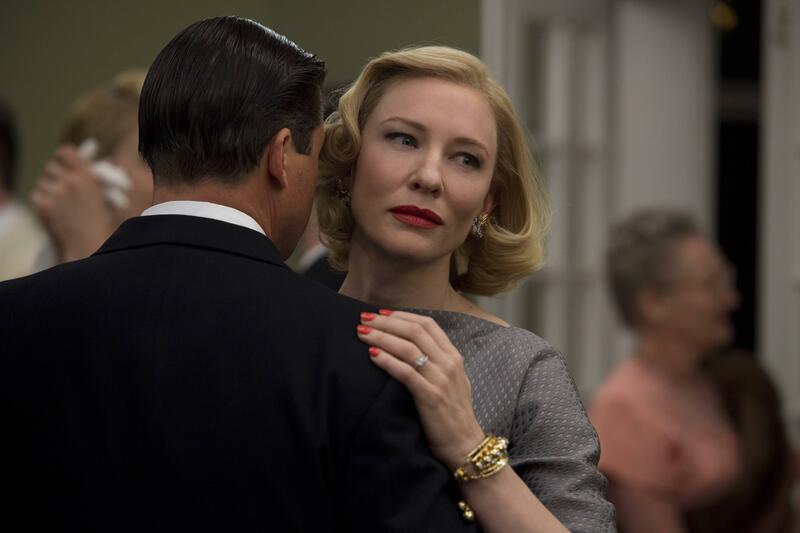 Directed by Todd Haynes ("Far From Heaven"), it stars Cate Blanchett, Rooney Mara and Kyle Chandler. Haynes was Oscar nominated in 2003 for best original screenplay for "Far." Mara won best actress at Cannes (in a tie with Emmanuelle Bercot for the French romantic drama "Mon roi"), sparking a strong immediate Oscar buzz for "Carol." Although the Cannes jurors put Mara in the lead actress category, Oscar watchers anticipate that Blanchett will be positioned for the best actress race while Mara will be pitched for supporting actress. Blanchett won best actress in 2014 for "Blue Jasmine" and was a supporting actress winner in 2005 for "The Aviator." Mara was a best actress nominee in 2012 for "The Girl With the Dragon Tattoo." "Carol's" storyline is set in New York in the early 1950s where Therese, a young department store salesgirl (Mara), becomes involved with Carol, an older married woman (Blanchett), whom she meets when Carol is shopping in the store. 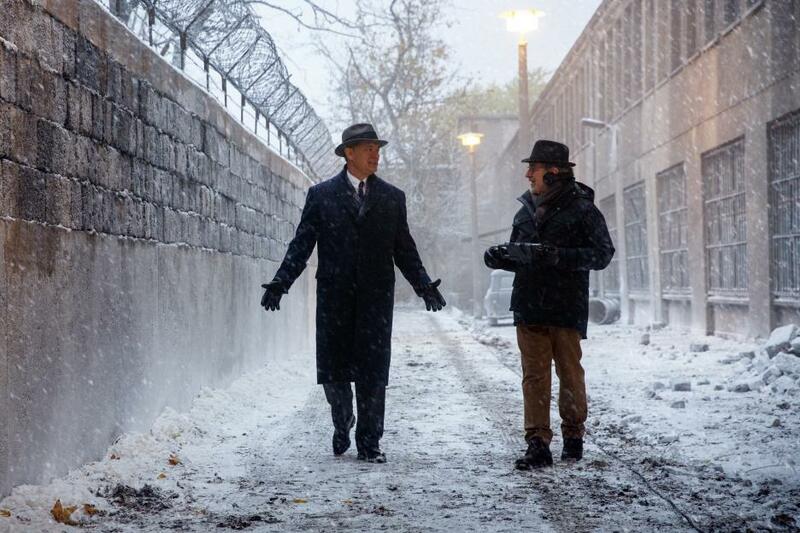 Any film directed by Steven Spielberg automatically prompts talk of a best picture nod, which is exactly the case with his"Bridge of Spies," opening Oct. 16 via Disney. There's already talk that "Bridge" is top grade Spielberg. "Bridge," which stars Tom Hanks, Eve Hewson and Alan Alda, is a Cold War thriller in which the CIA recruits an American lawyer to help rescue a pilot detained in the Soviet Union. Spielberg won best director in 1999 for "Saving Private Ryan,"which lost in a best picture race upset to "Shakespeare in Love." Spielberg also shared in the best picture win for "Schindler's List" in 1994. Hanks has had five best actor Oscar noms over the years, winning back to back for "Philadelphia" in 1994 and "Forrest Gump" in 1995. David O. Russell is another filmmaker whose Oscar track record is so strong that anything he directs is likely to get Academy members' attention. Russell's next film, the biographical comedy drama "Joy," opens Dec. 25 from 20th Century Fox, Annapurna Pictures and Davis Entertainment. Starring are: Jennifer Lawrence, Bradley Cooper and Robert DeNiro, all of whom starred in Russell's "Silver Linings Playbook,"for which Lawrence won best actress. Russell has been Oscar nominated for directing and co-writing "American Hustle" in 2014, directing and writing "Silver" in 2013 and directing "The Fighter" in 2011. "Joy," according to Fox, is "the wild story of a family across four generations centered on the girl (Joy played by Lawrence) who becomes the woman who founds a business dynasty and becomes a matriarch in her own right. Betrayal, treachery, the loss of innocence and the scars of love, pave the road in this intense emotional and human comedy about becoming a true boss of family and enterprise facing a world of unforgiving commerce." Another good way for a film to get into the best picture race is to be from the filmmaker who made the previous year's winner. That is what we have this year in "The Revenant," opening Dec. 25 from Fox, New Regency Pictures and RatPac Entertainment. "Revenant," which stars Leonardo DiCaprio, Tom Hardy and Domhnall Gleeson, is directed and co-written by Alejandro Gonzalez Inarritu -- whose last film, "Birdman," won best picture in 2015. Inarritu also won for directing and co-writing its original screenplay. The new film's storyline, according to Fox, is inspired by true events and "captures one man's epic adventure of survival and the extraordinary power of the human spirit. In an expedition of the uncharted American wilderness, legendary explorer Hugh Glass (DiCaprio) is brutally attacked by a bear and left for dead by members of his own hunting team. "In a quest to survive, Glass endures unimaginable grief as well as the betrayal of his confidant John Fitzgerald (Hardy). Guided by sheer will and the love of his family, Glass must navigate a vicious winter in a relentless pursuit to live and find redemption." Oscar's best picture race can also open up to films about people of interest to Academy members and there are several such possibilities this year. One of the highest profile upcoming biographical dramas is "Steve Jobs" from Universal, Legendary Pictures and Scott Rudin Productions, opening Oct. 9. Directed by Danny Boyle, who won the directing Oscar in 2009 for "Slumdog Millionaire," it stars Michael Fassbender as the late Apple CEO, Kate Winslet and Seth Rogen.Its screenplay by Aaron Sorkin, an Oscar winner in 2011 for his adapted screenplay "The Social Network," is based on the book by Walter Isaacson. Another drama that also is instantly defined by its high profile controversial subject's name is "Snowden," opening Dec. 25 from Open Road Films. It also helps that "Snowden" director Oliver Stone is a three time Oscar winner -- in 1979 for writing the adapted screenplay "Midnight Express,"in 1987 for directing "Platoon" and in 1990 for directing "Born on the Fourth of July." "Snowden" stars Joseph Gordon-Levitt as controversial leaker of U.S. classified information Edward Snowden, Shailene Woodley and Scott Eastwood. Films based on events that made headlines can also attract Academy members' consideration, especially if they involve subject matter of direct interest to people working in the world of media and entertainment. One such upcoming example of this is the drama "Truth," from Sony Pictures Classics and RatPac Entertainment, whose opening date hasn't been announced yet. Insiders are anticipating that it will open in time to qualify for this year's Oscar race. Directed by first-time feature director James Vanderbilt, whose screenwriting credits include "The Amazing Spider-Man," it stars Cate Blanchett, Elizabeth Moss and Robert Redford, all of whom could be acting category contenders. Redford plays former CBS News anchorman Dan Rather in this story about the scandal that ended Rather's career at the network, involving an erroneous report that former president George W. Bush used family connections to avoid serving in the army during the Vietnam War. These are some of the titles generating the loudest early buzz as potential best picture contenders. As the awards season progresses and films start playing at high profile festivals like Venice, Telluride, Toronto and New York, new titles will join the list and others will evaporate. Release date changes in the months aheadcould also make a difference in terms of who gets into the best picture race. At the moment, for instance, Martin Scorsese's 17th Century Japan set historical drama "Silence," starring Liam Neeson, Andrew Garfield and Adam Driver, is to be released in 2016 via Paramount. If, however, Paramount were to change its plans and open it this December even in limited release, "Silence" would qualify for this year's Oscar race and would almost certainly get Academy attention as a possible best picture contender. Scorsese, who won the best directing Oscar for "The Departed" in 2007, is one of Hollywood's highest profile filmmakers and that always helps when it comes to Oscar consideration. Bottom line:Although Hollywood loves awards, what it really loves most is counting its boxoffice money. Last weekend was another strong one for ticket sales thanks to Disney and Marvel's "Ant-Man"opening in first place to $58 million and Universal Pictures' R rated comedy "Trainwreck"arriving in third place to $30.2 million. The numbers for both openings would probably have been even higher if there hadn't been severe weekend weather in the Mid-West and heavy rain and thunderstorms in Southern California. "Ant-Man," according to Disney, also opened last weekend in 37 international territories (about 50 percent of its international footprint) to a strong $56.4 million, bringing its global cume to $114.4 million. The film's domestic audience, Disney said, was 58 percent male and 42 percent female. Adults accounted for 59 percent of those on hand while families (28 percent) and teens (13 percent) made up the rest. "Trainwreck's" audience, according to the boxoffice data tracking firm Rentrak, was 69 percent female and 31 percent male with 66 percent of those attending being over-25. There also was strong holdover business for Universal and Illumination Entertainment's "Minions"in second place with $50.2 million and a cume of $216.7 million after two weeks. Overall, per Rentrak, ticket sales for all films playing last weekend were up a terrific 30.7 percent from a year ago and Hollywood is ahead bya very encouraging 8.9 percent for the year to date.